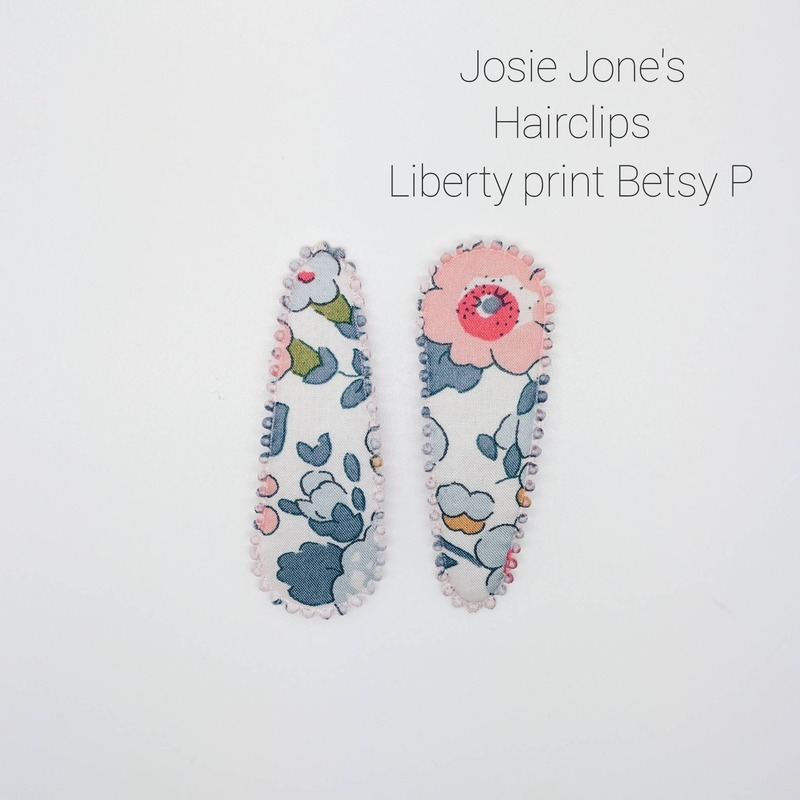 LIBERTY FABRIC HAIRCLIPS handmade by Josie Joans in Betsy P - "Izzy"
Love these! They arrived safe and quick for overseas. I bought several for my nieces and can't wait to give them at Christmas. 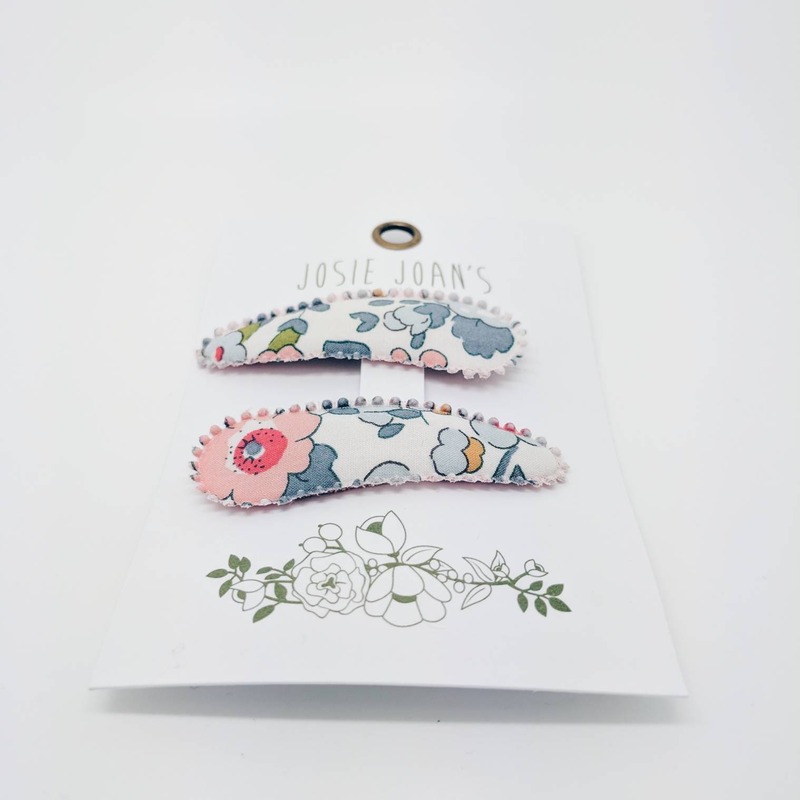 Thank you for Great Service and uniquely made hair clips. My new favorite clips for my 2 year old! 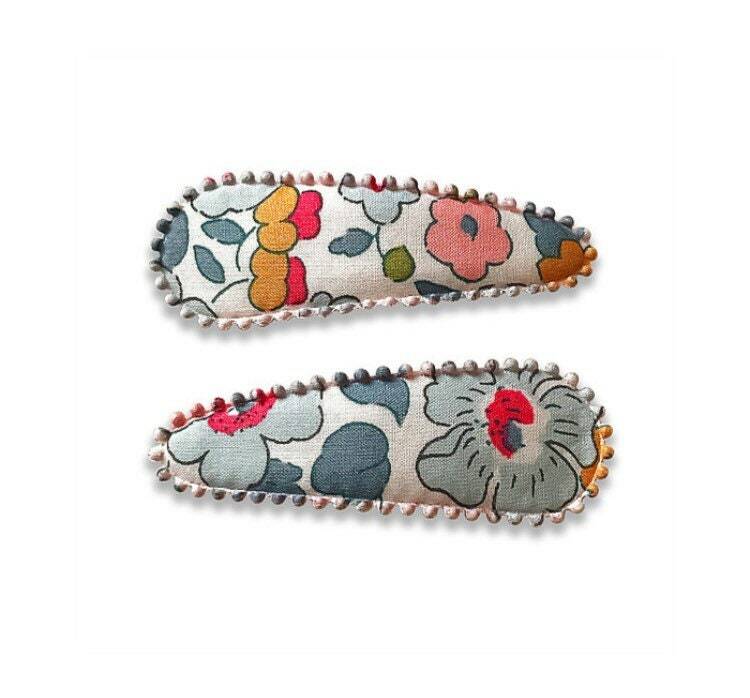 These are adorable and actually hold her super thick hair back. I love how simple and sweet they are! I’ll absolutely be buying more!